Retroshare establish encrypted connections between you and your friends to create a network of computers, and provides various distributed services on top of it: forums, channels, chat, mail... Retroshare is fully decentralized, and designed to provide maximum security and anonymity to its users beyond direct friends. Retroshare is entirely free and open-source software. It is available on Android, Linux, MacOS and Windows. There are no hidden costs, no ads and no terms of service. Send text and images. Discuss with various people in decentralized chat rooms (like IRC). Express your emotions with the rich smiley set. Use distant chat to securely chat with friends-of-friends. Send encrypted messages to other members of the network. Retroshare securely stores messages on friends' nodes to deliver messages while you're offline. Share files with your friends or with the whole network. Use the search to find files. Retroshare uses swarming similar to BitTorrent, to accelerate transfers. This makes it possible to share large files. Your privacy and anonymity is guaranteed beyond direct friends with anonymous tunnels. You can read and write forum posts offline. This is perfect while you're on the go. When you have an Internet connection, Retroshare will automatically sync forums with your friends. Decentralized forums are censorship resistant by design. Share your favorite links. See which links others like. Vote and discuss them using the built-in commenting system. Channels allow you to publish your files. You may subscribe to channels and automatically download the latest files; comment on files and spread them to your friends. Retroshare can optionally be used over the Tor and I2P networks. Doing so, even friend nodes cannot see your IP, which allows to safely and anonymously connect to unknown people. While it is always possible to configure a normal Retroshare node to also use Tor, we provide specific builds that embed and manage Tor automatically, to ease things up. This is an excellent way to safely try the software while connecting to untrusted users. Make free and secure calls with the VoIP plugin. Catch up face to face with a video call. Create a decentralized social sharing network designed with no dependencies on any corporate system or central servers. Favor the use of strong cryptography in daily communication. Allow people to hide information from intelligence agencies and spying companies. Favor freedom of speech, away from any possible censorship. Stay a free and open-source software. Only open-source software can provide truly secure communication. Developers can read Retroshare's source code and check that it is doing what it says. 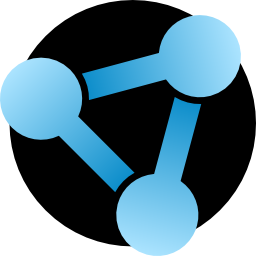 Retroshare allows you to create a network of computers (called nodes). Every user has it's own node. The exact location (the IP-address) of nodes is only known to neighbor nodes. You invite a person to become a neighbor by exchanging your Retroshare certificates with that person. Links between nodes are authenticated using strong asymmetric keys (PGP format) and encrypted using Perfect Forward Secrecy (OpenSSL implementation of TLS). On top of the network mesh, Retroshare provides services to securely and anonymously exchange data with other nodes in the network beyond your own friends. Seems too nice to be true. What's the catch? There is no catch. Retroshare is provided free of charge and does not generate any kind of money. It is the result of hard work that is only driven by the goals of providing a tool to evade censorship. The only catch is that you will need to build your own network: in order to use Retroshare, you have to recruit friends and exchange certificates with them, or join an existing network of friends. 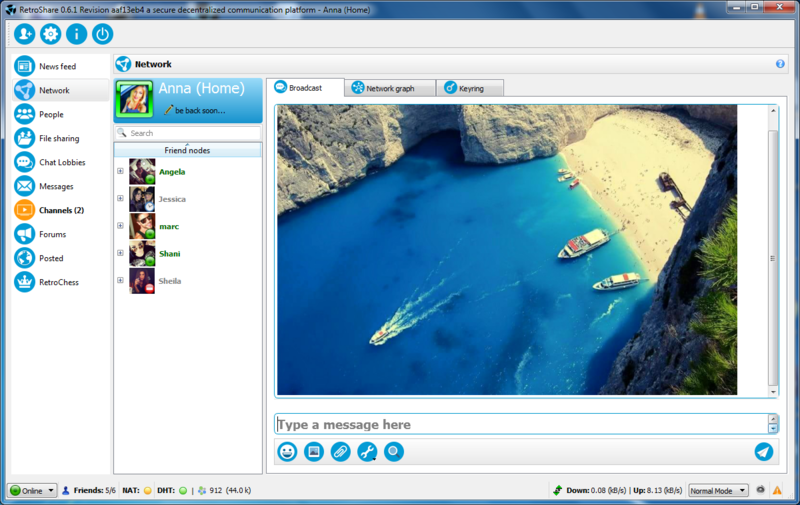 Retroshare was founded by drbob in 2006, as a platform to provide "secure communications and file sharing with friends". Since then other developers joined and steadily improved the software. Retroshare v0.6 is a new milestone which is based on experience from previous releases. A remarkable new component in Retroshare v0.6 is the generic data transportation system (internally named GXS) which abstracts the distribution of authenticated data throughout the network. On top of GXS, Retroshare provides distributed forums, movie channels with comments, and asynchronous messaging.